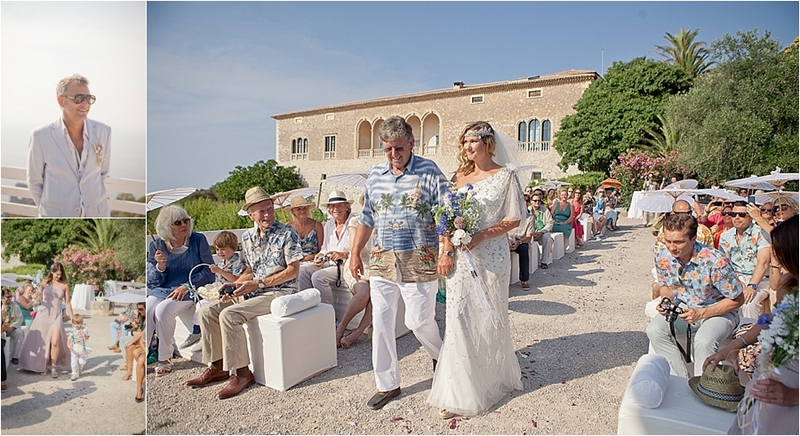 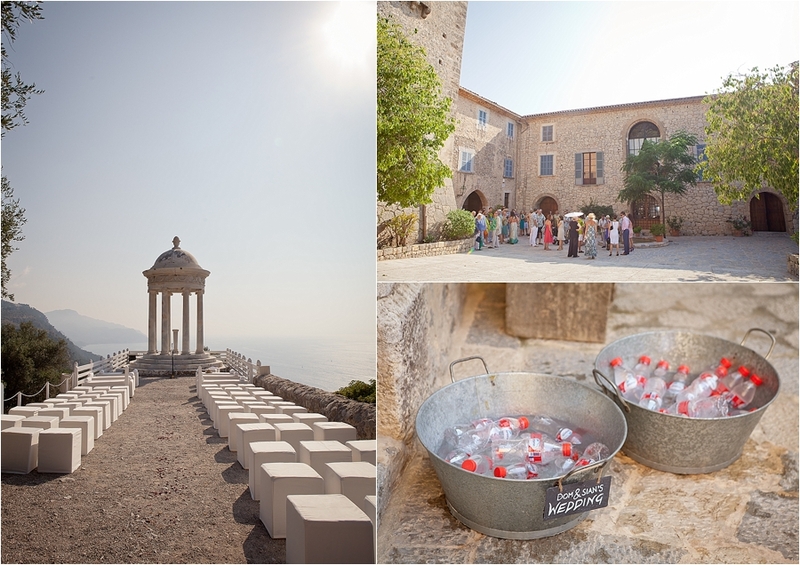 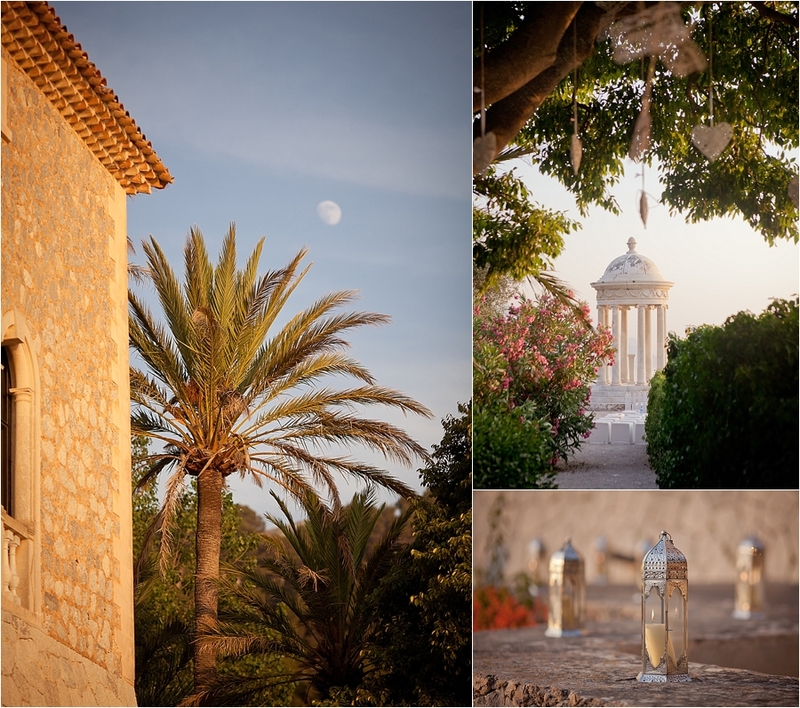 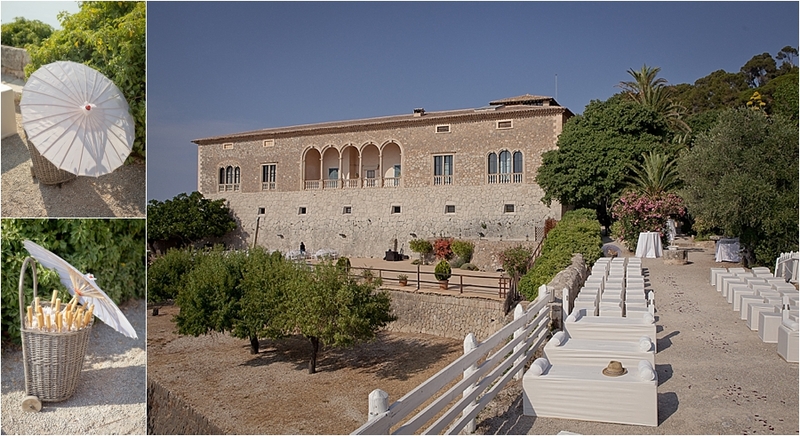 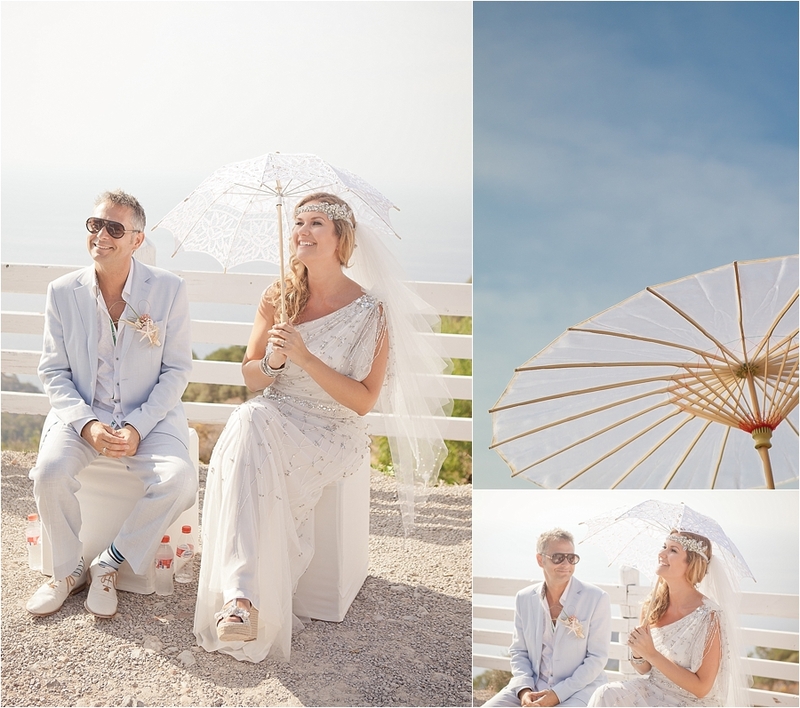 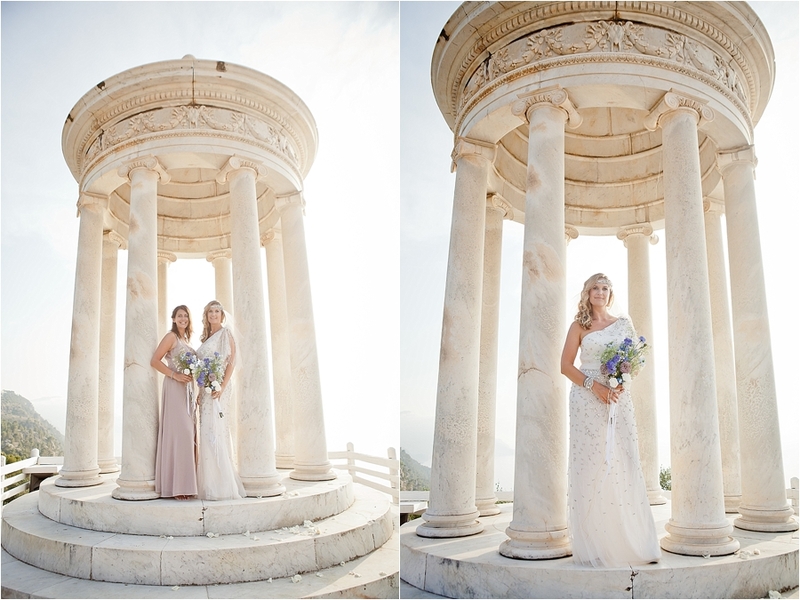 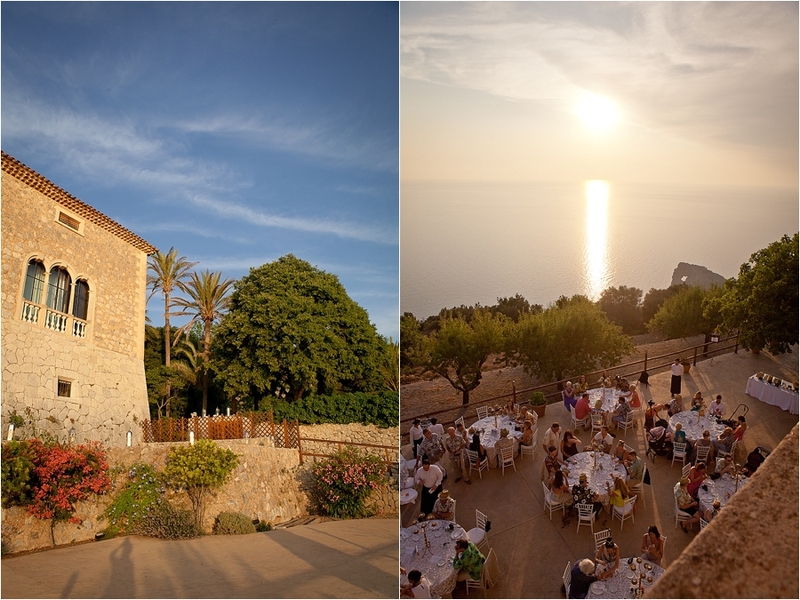 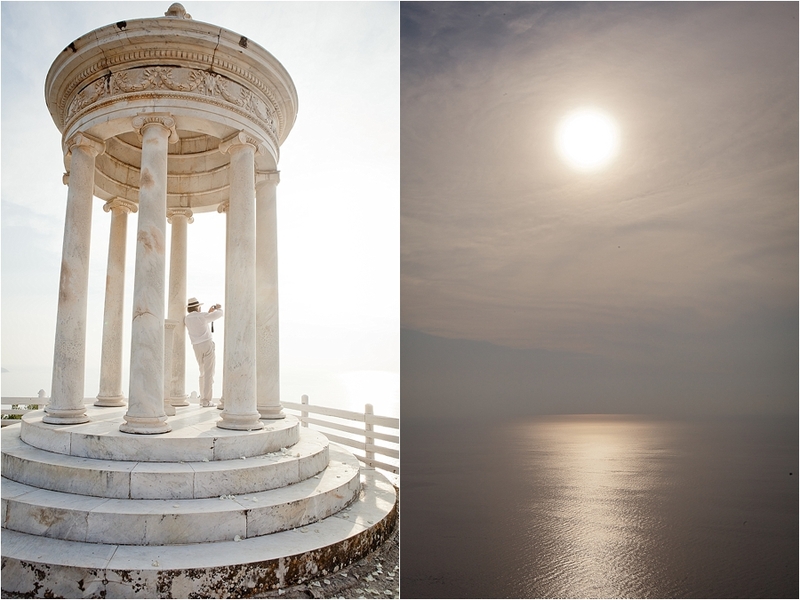 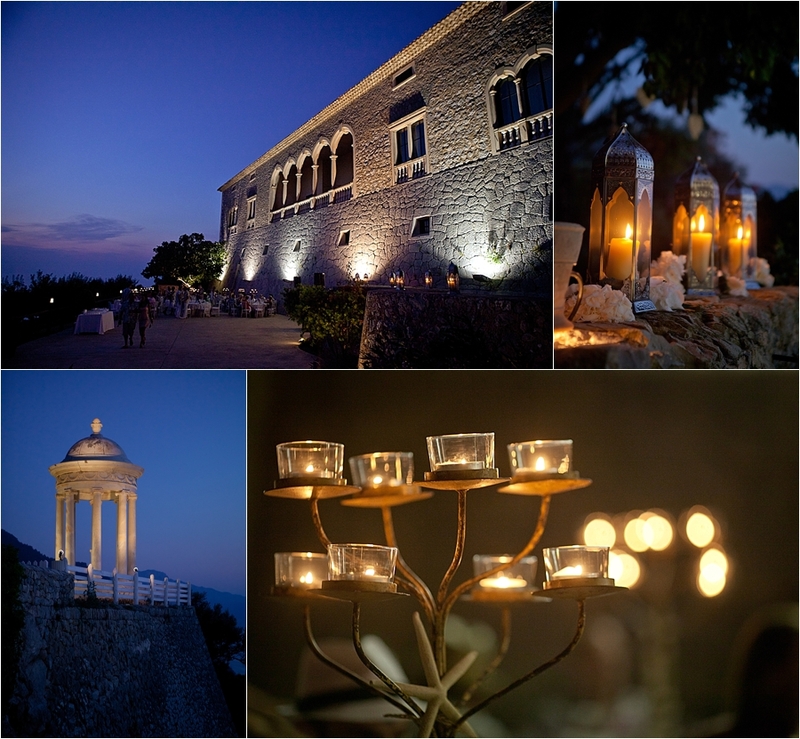 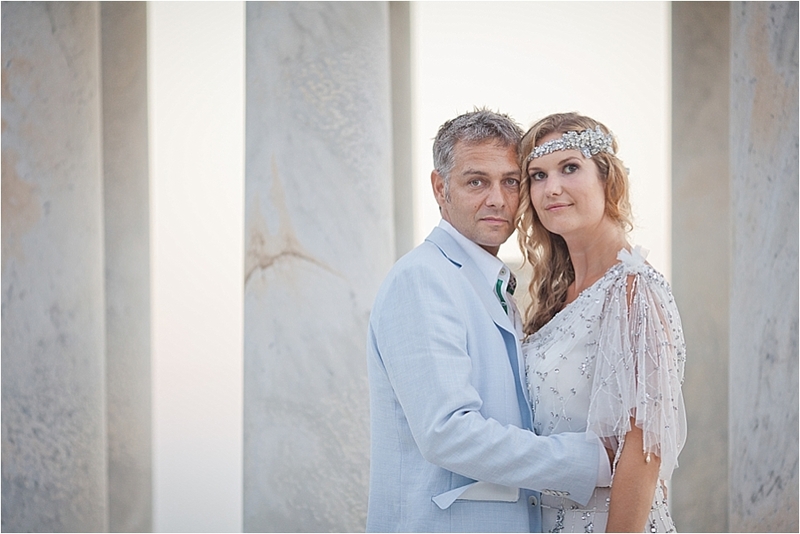 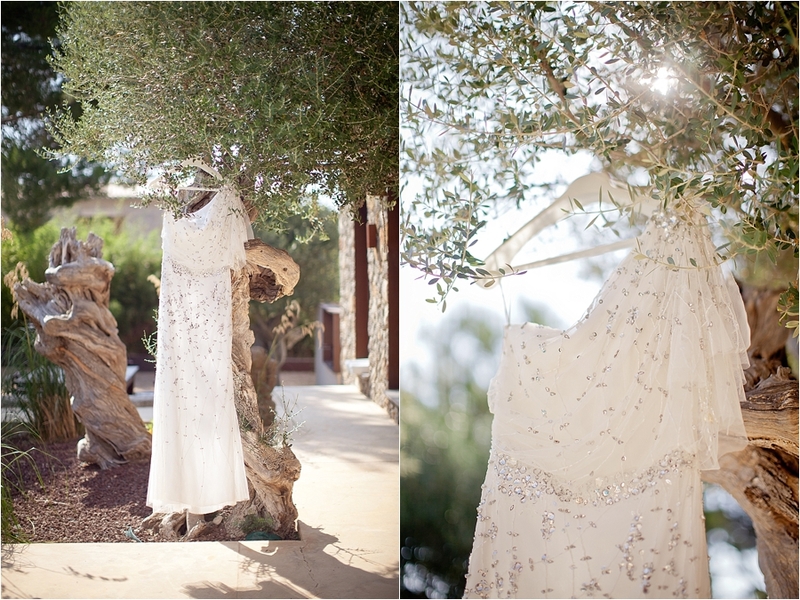 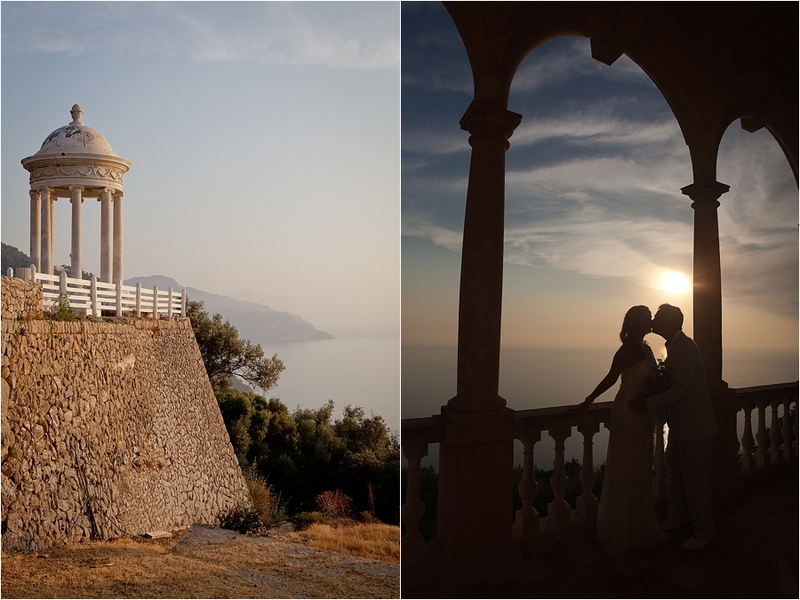 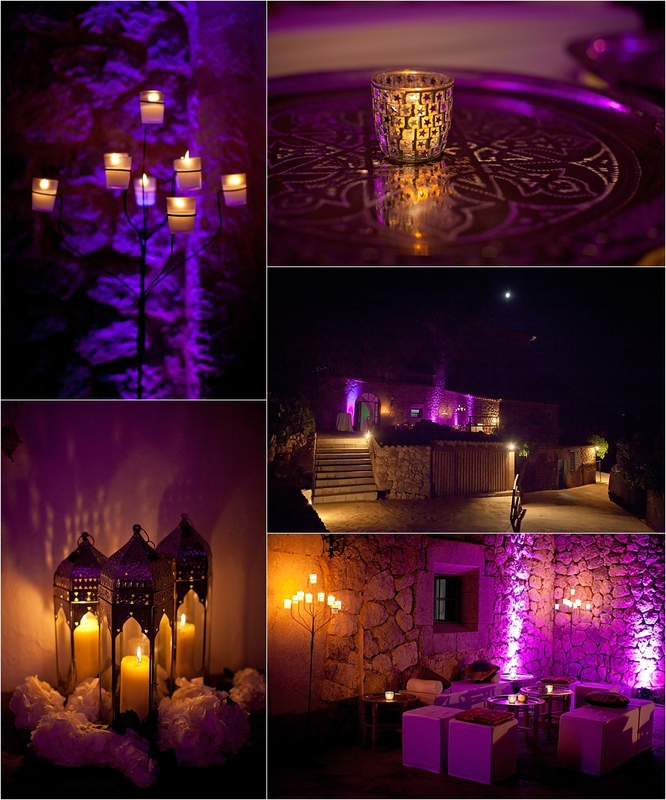 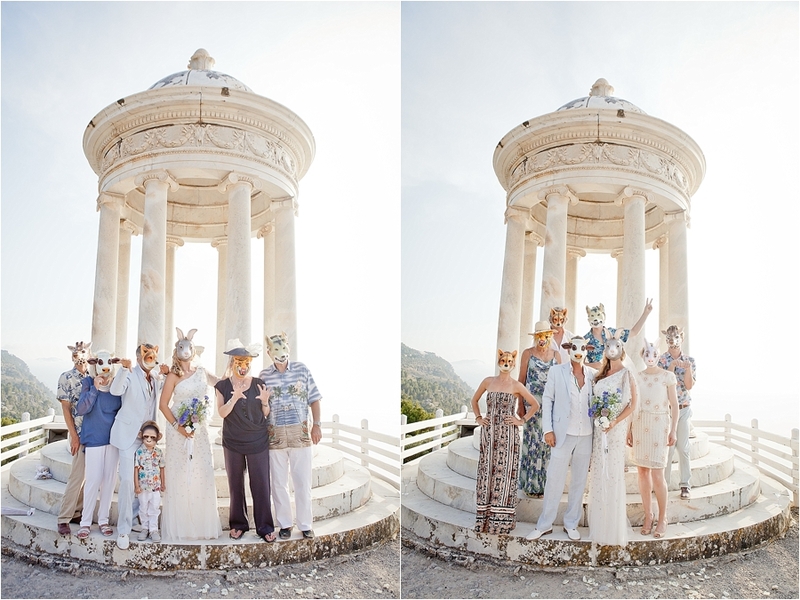 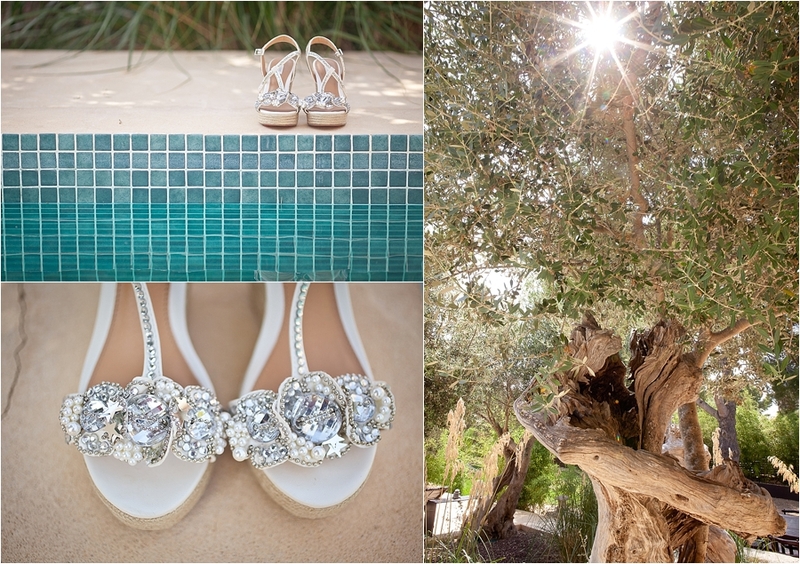 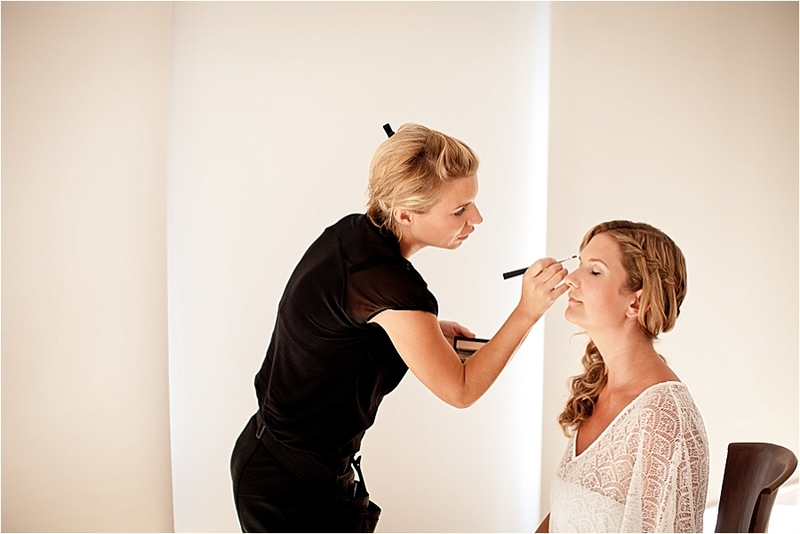 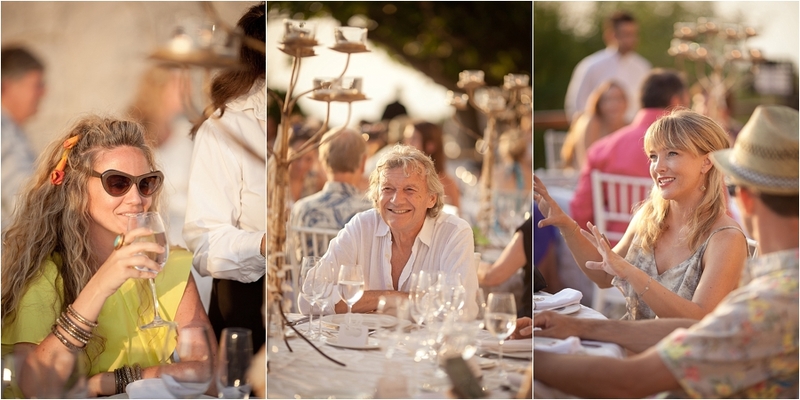 Sian & Dom’s amazing destination wedding took place at Son Marroig, on a cliff looking over the sea near Deia in Majorca. 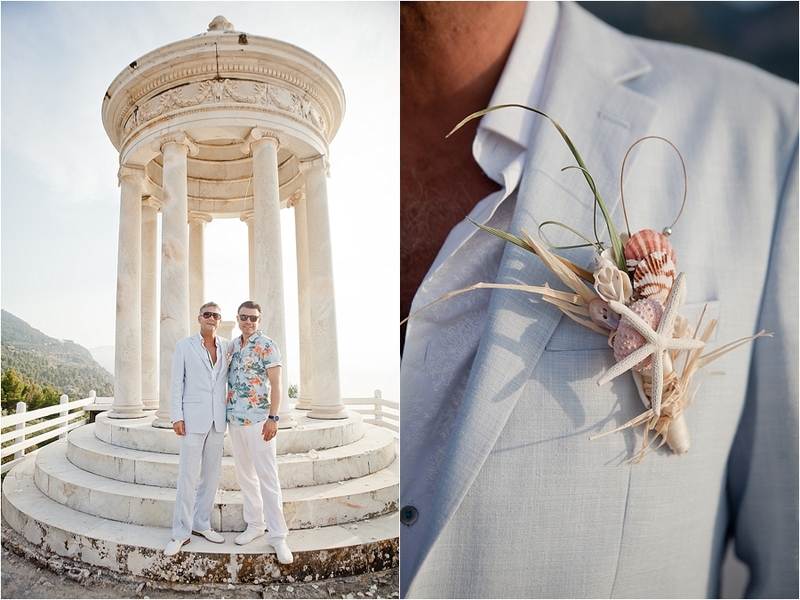 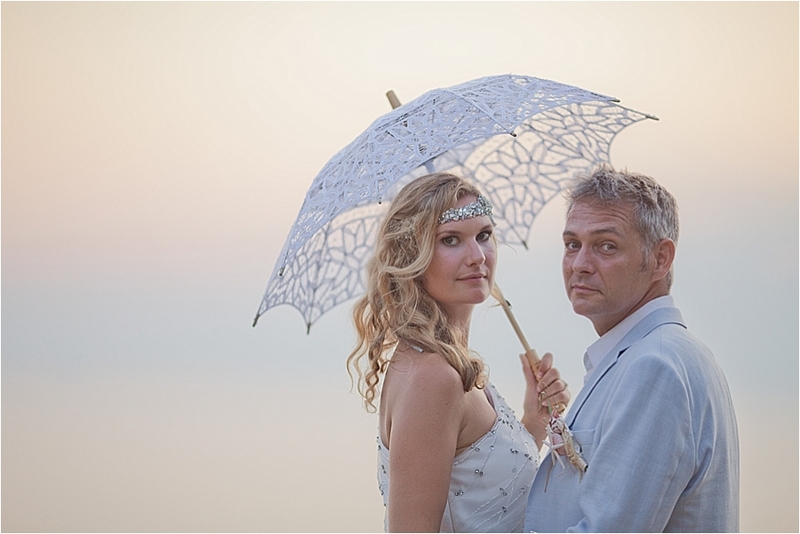 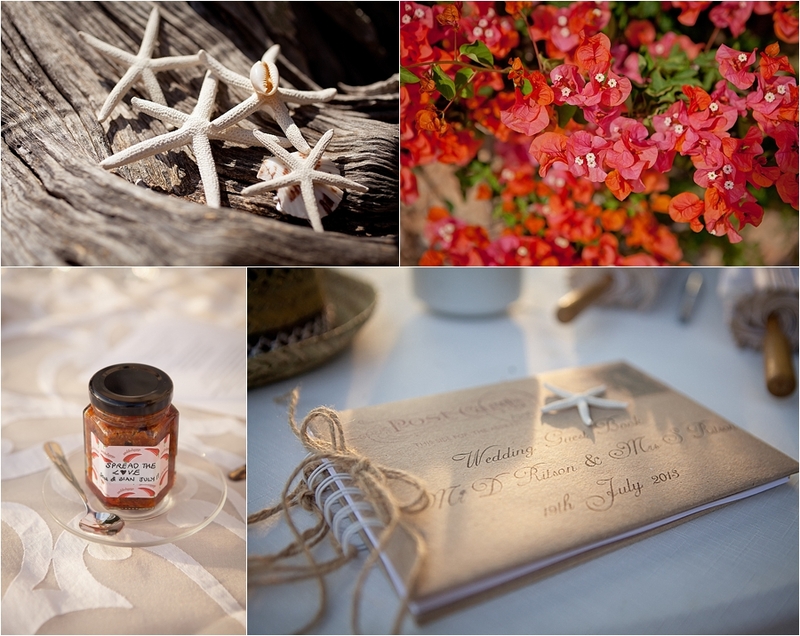 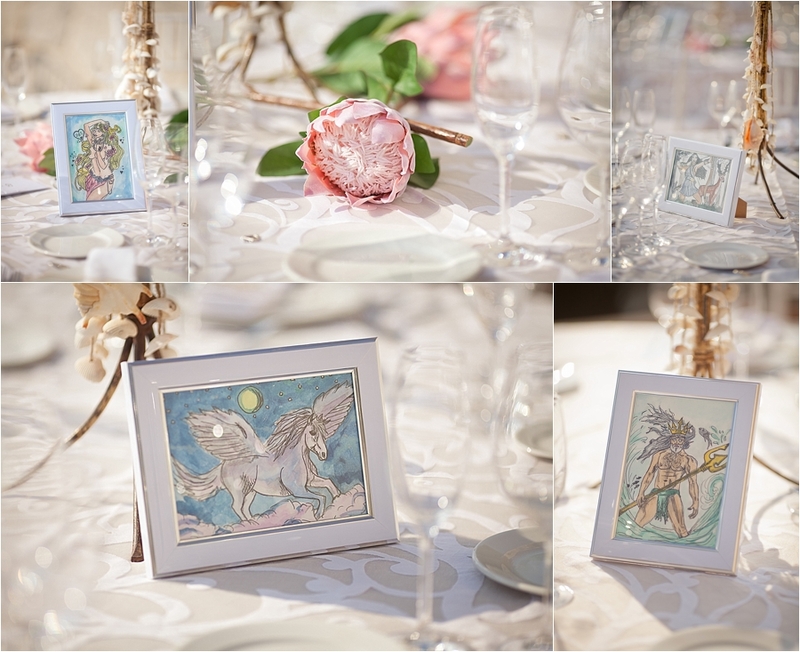 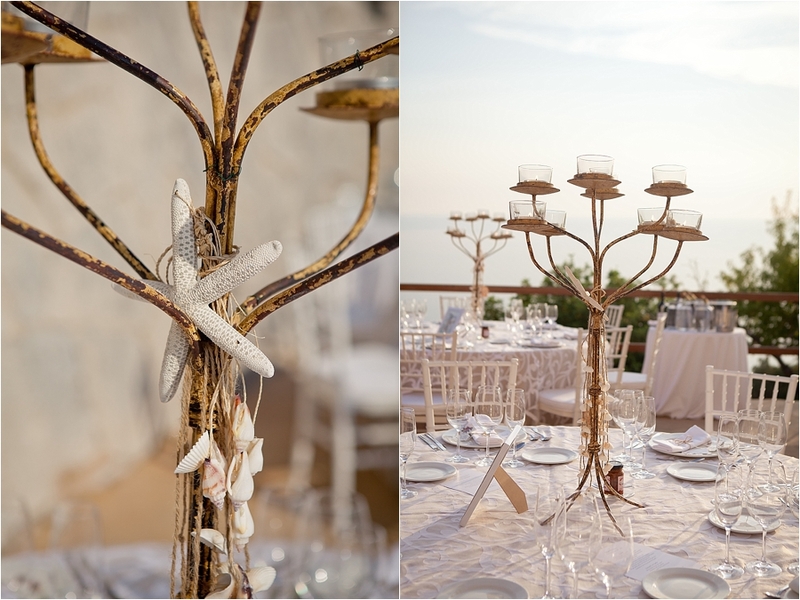 There were starfish buttonholes, animal masks, Greek gods and intricate laser-cut stationery. 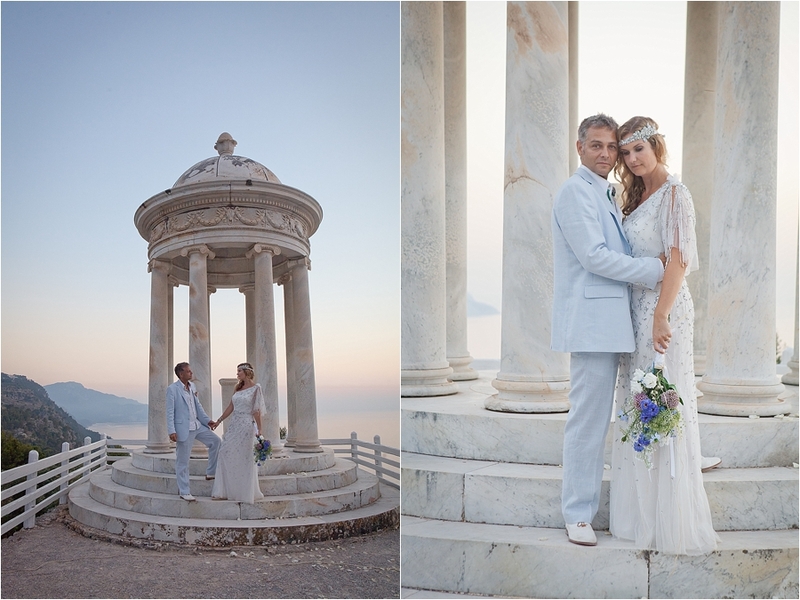 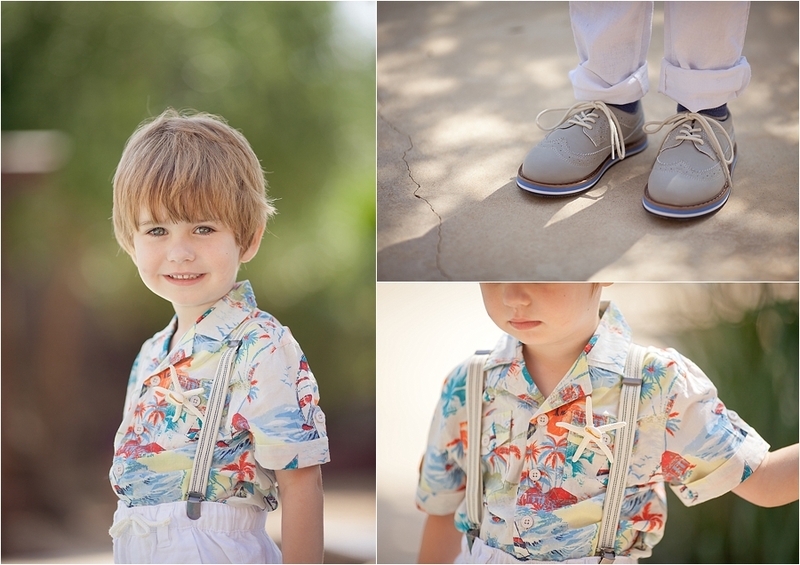 Sian looked stunning in a beaded Grecian dress from Pronovias and Dom was every bit the dapper groom in a pale blue bespoke suit, their son Jake making a very cute page boy. 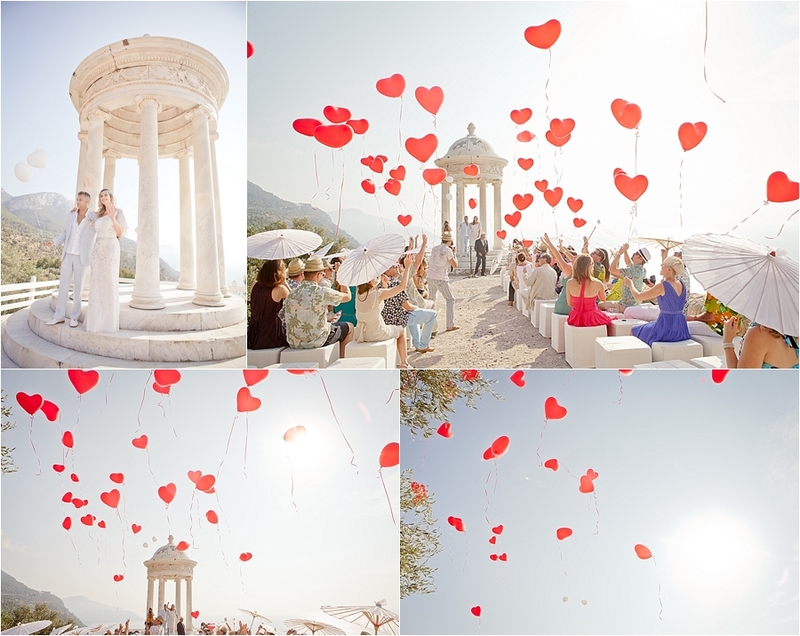 They read personal, funny and moving vows to each other in front of the temple before guests released heart-shaped red balloons into the sky and showered the couple with confetti. 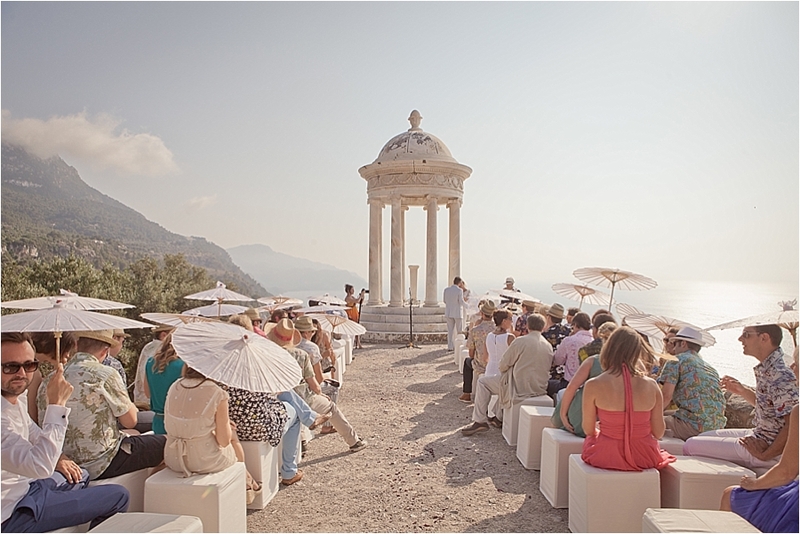 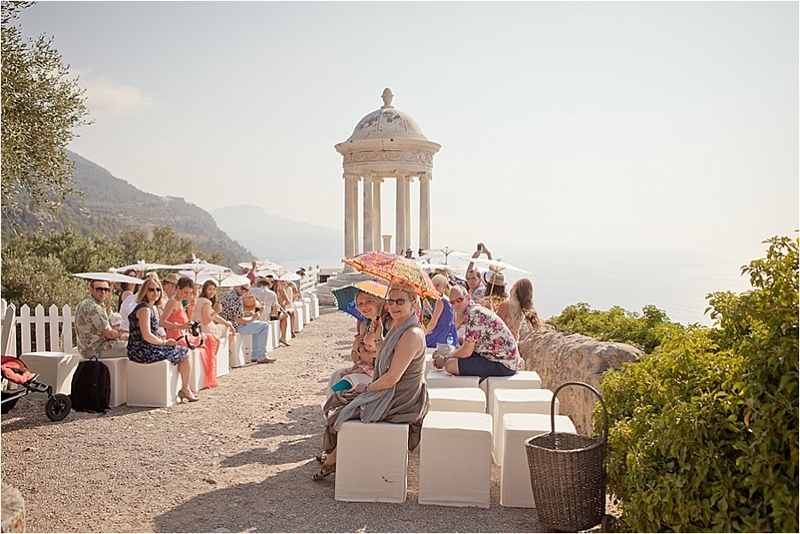 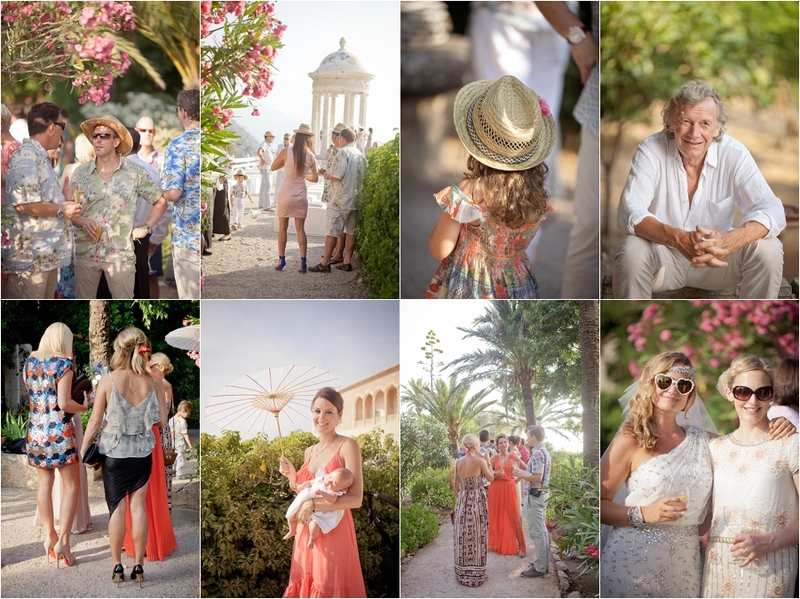 Guests wore Hawaiian shirts and summer dresses and straw trilby hats and parasols were provided to shade them from the sun. 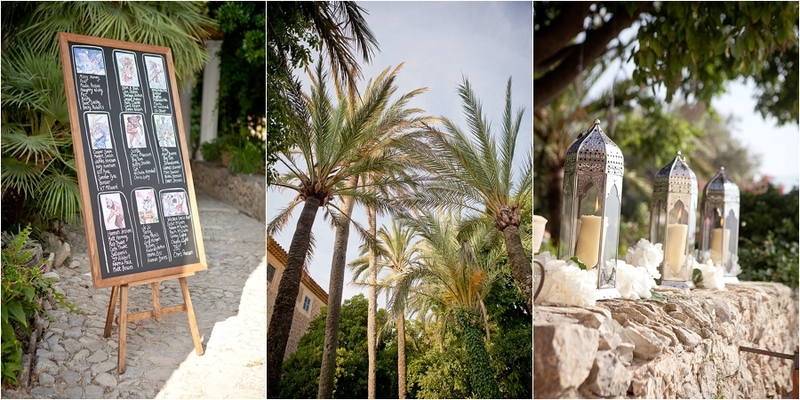 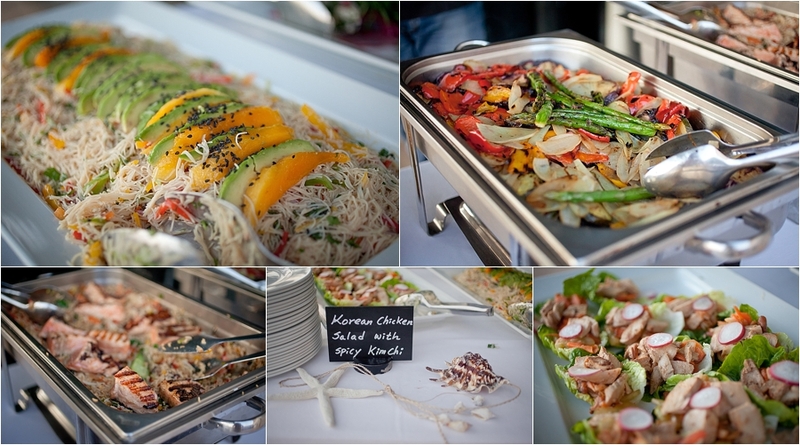 Canapés and fizz were enjoyed in the shade of tall palm trees, while the sun started to sink into the sea. 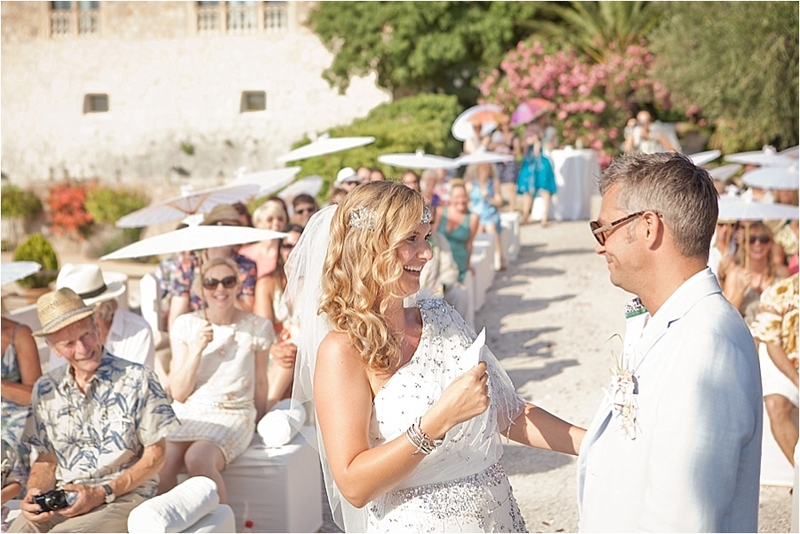 The Bride and Groom danced their entrance to the reception, a dinner of delicious local food served on the terrace overlooking the sea. 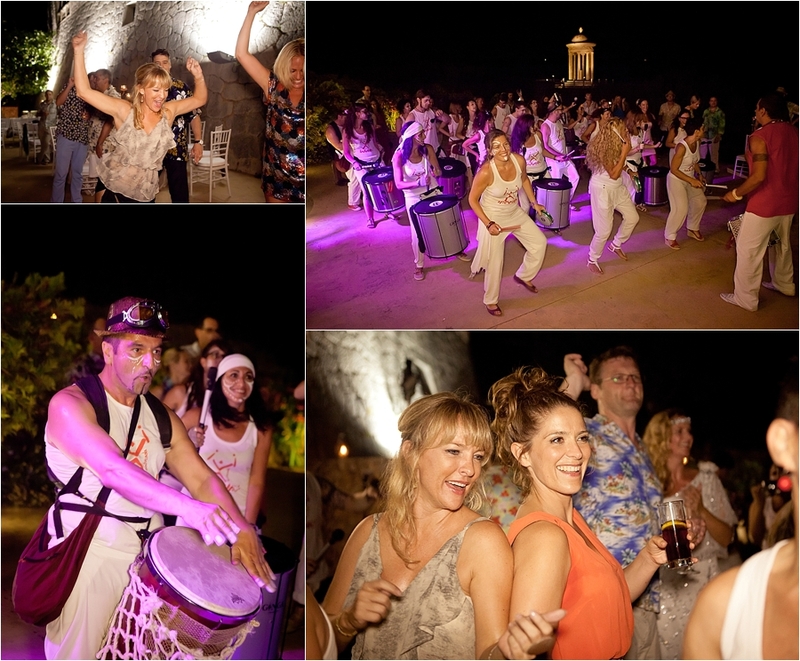 After the first dance, surprise samba drummers dressed in white processed from the temple to the terrace and led the guests to the Morroccan-styled evening party where the dancing and celebrations continued into the early hours. 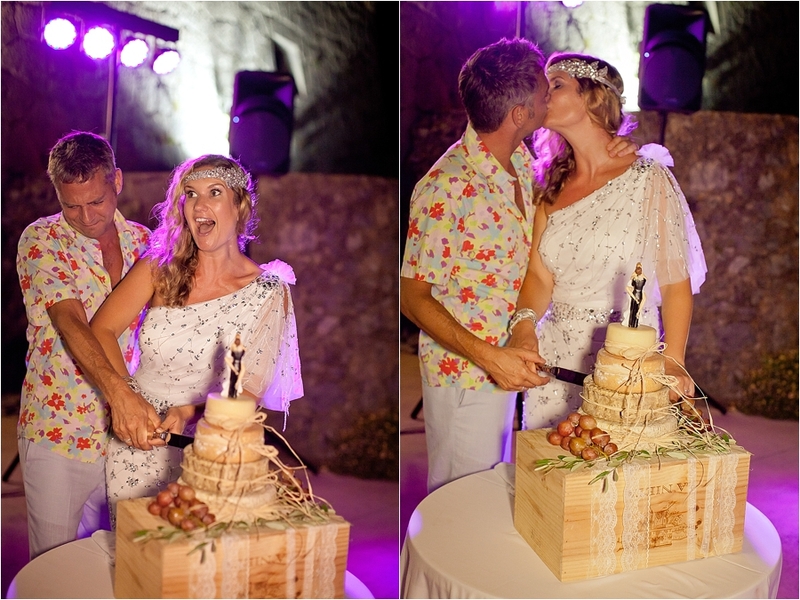 These two sure know how to throw a fabulous party! 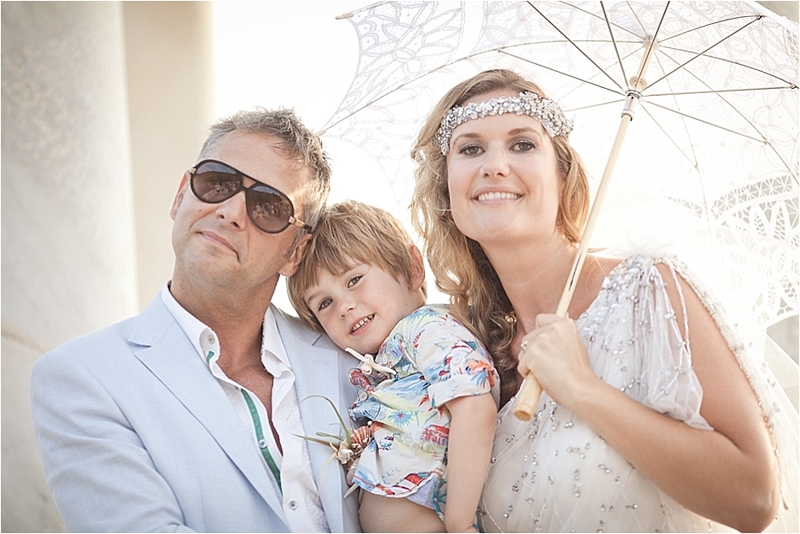 Sian and Dom, thanks for having me at your beautiful wedding, it was an experience I will never forget. 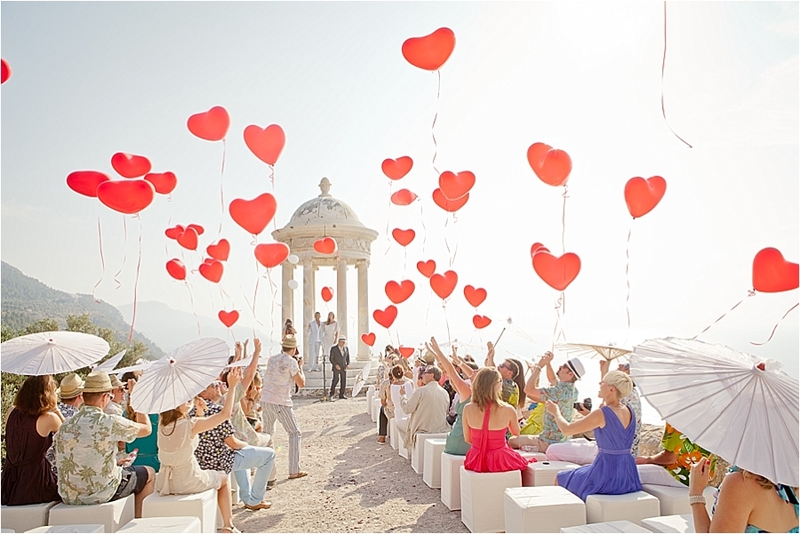 Wishing you a lifetime of love and happiness as husband and wife. 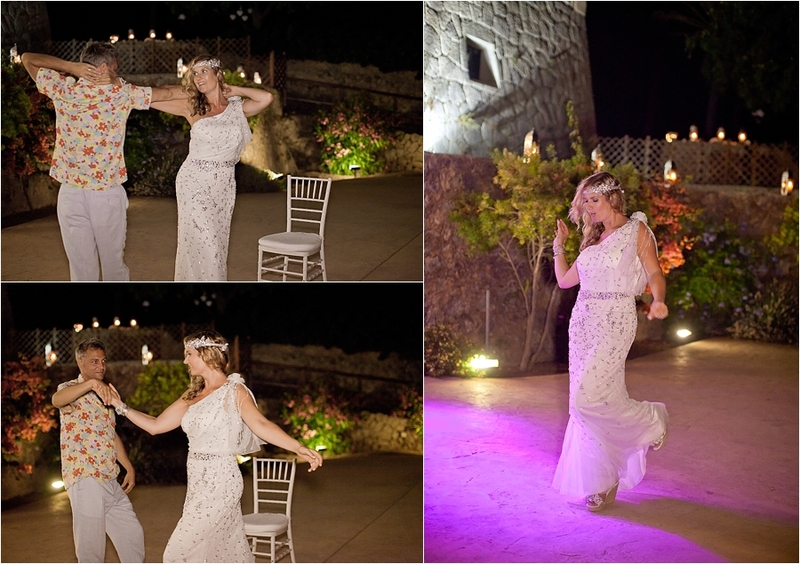 Hi Katy, amazing photos! 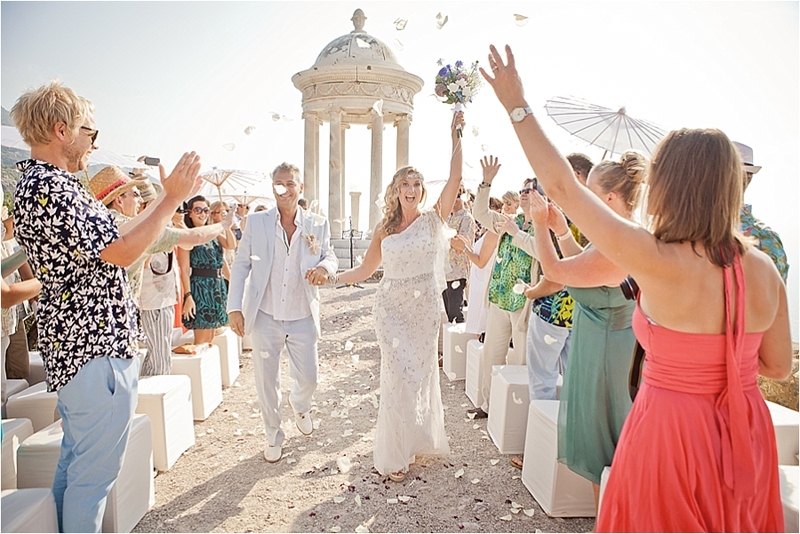 Could you tell me who the band was for Dom and Sian’s wedding please?